Giving to Baby Cafe on GiveBigKern Day - May 2, 2017! So what's all the fuss about Give Big Kern? You may wonder why you've seen so much from us about this event. 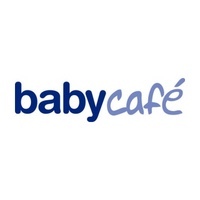 This one day, online giving event is our biggest opportunity this year to raise funds for Baby Cafe Bakersfield. As you may know, our services are provided to families for free, our staff is all volunteer, and we operate using only in-kind donations. We do not have funding from anyone. We are an independent project which is managed by Central Valley Lactation Association, part of Warm Line La Cresta. What we do is very effective. Baby Cafe Bakersfield has helped hundreds of families each year since 2014. With additional financial resources, we can do even more! We'd love to have a paid staff member to do marketing and outreach, open our doors for more hours and accommodate more families, buy a printer to print out resources for families when they are there. We have ongoing operating costs to cover, like rent for our space and supplies for our drop-ins. We could offer prenatal classes to local families to help them prepare for breastfeeding while they're still pregnant. There's so much more work to do in supporting breastfeeding families, and we hope you will give generously during Give Big Kern to help us expand our services and improve the breastfeeding environment in Kern County! We're SO Excited to be part of Give Big Kern this May 2!